Motivation drives the decisions both of the characters and the writer throughout a plot. Books on literary analysis, such as the Norton Anthologies, often lump motivation with character and identity, whereas mystery readers have long regarded motive as a full and separate category in its own right. Carolyn Wells devoted a chapter, albeit a short one, to the topic in The Technique of the Mystery Story, insisting that motive is one of the principal parts of a mystery. Her 1913 book may have influenced writers published during the 1920s and 1930s, known as a golden age for detective fiction. The “why” behind a murder can matter more than the actual crime itself, encompassing broad disciplines such as psychology or philosophy. The intention behind a stray comment or secret can trigger empathy and the reader’s urge to appreciate or deplore motivations. Even the most impulsive acts are built upon layers of experience and memory. The motivation behind an act as grave and permanent as murder should make sense for readers in order to avoid deranged, cruel, and evil behavior. Writers offer mitigating and aggravating factors, and readers enjoy making judgments. “They are often a modern version of a medieval morality play, in which good and evil battle for dominance,” suggests The Mystery Readers’ Advisory: The Librarian’s Clues to Murder and Mayhem. “The underlying sense that justice, in some form or another, will prevail is a powerful reason why many readers are drawn to mysteries.” The phrase “some form or another” points to a range of methods in the pursuit of justice, some outside the law. In some cases, a crime is so heinous that imprisonment or does not seem enough. Or a character’s final retribution is such a secret and lonely act, as in my second novel, Interruptions, that the reader’s judgment is the only measure of justice. She points to money, love, and revenge as the leading motives, and over the years writers have added escape, despair, control, and many more to the list. Setting is intertwined with social conditions including poverty, inequality, cultural and religious differences, illiteracy, and one’s family upbringing. These can influence motive, triggering questions about individual control versus society’s influence over behavior. All poor people do not commit crimes. All adults who were once spoiled children do not display greed and resentment. Every religious extremist is not a murderer. Self-regulation, unspoken social rules, and minimal enforcement challenge investigations as well as a community’s tolerance for unwanted, unexpected, unlawful behaviors in daily routines. Social influences that motivate characters must also thrill writers. Some mystery writers try for new topics and approaches because of the fear once expressed by Dorothy Sayers in The Art of the Mystery Story, “that the detective story will some time come to an end, simply because the public will have learnt all the tricks.” Authors eagerly offer new twists on characters and motives with choices revealing their values. Perhaps that’s why a remote Afghan village is the setting for my novels Fear of Beauty and Allure of Deceit, with stories that otherwise resemble traditional cozies. Every part of the world deserves to be a setting for a cozy mystery. A character’s motivations can be sustained, following old patterns or transformed over time, but the writer must convey coherence. Every action must count; every character should have a motive. Discerning readers are troubled when writers use social concerns as a handy prop or background detail rather than a relentless force driving every decision—along the lines of They Shoot Horses, Don’t They? Stories with strong and unusual motives test our assumptions. I count myself lucky to know so many fans of mysteries, readers and writers both. They live deliberately while expecting others to do the same. They keep us on our toes in thinking less about how to commit murder and more about the whys behind these stories. Susan Froetschel is the author of five mystery novels, including Allure of Deceit, published in February by Seventh Street Books. The novel is about villagers in a remote part of Afghanistan who are astounded to be regarded as recipients of charitable giving from groups based overseas. Her previous novel, Fear of Beauty, centers on an Afghan woman desperate to learn how to read after the death of her oldest son. That book received the 2014 Youth Literature Award from the Middle East Outreach Council and was nominated for the 2014 Mary Higgins Clark Award. Since 2005, she has worked for YaleGlobal Online covering globalization defined as the interconnectedness of our world. 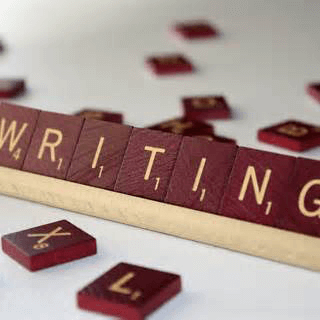 Posted in Blog Article, Writing Tips.